I love that cute top! I like yuor shirt :) yuo are so good. Thank you for visiting my blog. I'm afraid that do you not understand my entries in Polish. i love your blog design lol!! 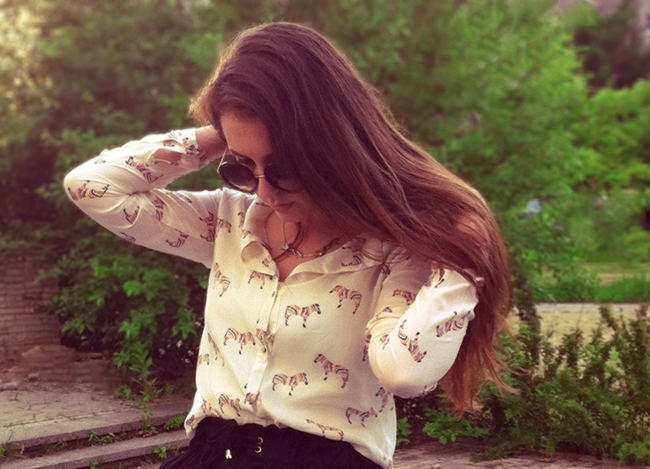 Very lovely pictures and I'm loving that zebra blouse! So cute and chic! Omg love those round sunnies! New follower! such amazing style--I will definitely have to follow your looks! 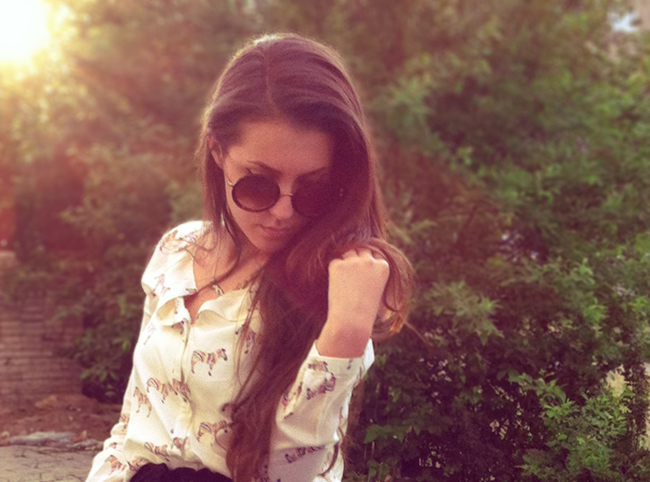 hopefully you can take a look at my blog, too :) looking forward to your future outfits! Thank you for stopping by and your lovely comment-really appreciated. Glad you did as it ontroduced me to your lovely blog overe here. Love the contents and you got great style. Following you on Bloglovin and look forward toreading your future posts. Great look and I love your sunglasses! Thanks for your comment on my blog! You look soo amazing. I love the sunglasses! You have a beautiful blog.